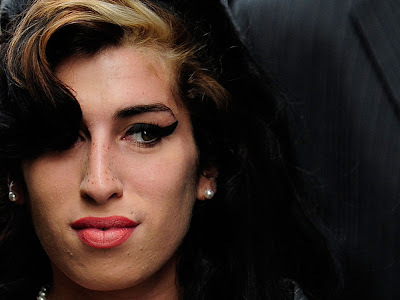 British Singer, Amy Winehouse was found dead today at the age of 27. According to Reuters, "Police said they had found the body of a 27-year-old woman at a flat in Camden Square, north London, after being called by ambulance services around 1500 GMT (11 a.m. EDT)". Winehouse is noted for her songs that revolves around her struggle with drugs and her on and off stay on rehab facilities. "It's very sad, she was such a talented girl, and a girl with such a huge future. Our hearts go out to her family, her loved ones." from Soccer star, David Beckham. Kelly Osbourne's tweet, "i cant even breath right now im crying so hard i just lost 1 of my best friends. i love you forever Amy & will never forget the real you!" Upon hearing this news, I wondered why at the age of 27 die so young like Nirvana's Kurt Cobain, James Morrison, Janis Joplin and of course Jimi Hendrix. Her music still available in Amazon.